. إن الخدمات التي يقدمها Bounty Island Resort تضمن للنزلاء إقامة مريحة. يقدم الفندق تسجيل وصول/خروج سريع, تخزين الأمتعة, واي فاي في المناطق العامة, التوصيل من وإلى المطار, مرافق خاصة بعقد الاجتماعات لضمان الراحة القصوى لضيوفه. استمتع بوسائل الراحة الراقية في الغرف أثناء إقامتك هنا. بعض الغرف تتضمن غرف لغير المدخنين, مكيف هواء, ميني بار, شرفة/ تراس, ستائر التعتيم لمساعدتك على استعادة طاقتك بعد يوم طويل. يمكنك الاستمتاع بالأجواء المريحة التي تقدمها شاطئ خاص, حمام سباحة خارجي, غوص, صيد السمك, سبا طوال النهار. مهما كانت أسبابك لزيارة جزيرة مامانوكا، فإن Bounty Island Resort هو الخيار الأفضل لإقامة مثيرة وممتعة. يُستثنى الأطفال دون عمر 4 أعوام من رسوم وجبة الإفطار. تُفرض رسوم على الأطفال من عمر 4 أعوام وحتى 12 عامًا قدرها 65 دولارًا فيجيًا للطفل في اليوم الواحد. Stayed here for 3 nights and enjoyed my stay very much. This is a small island and you can walk around it in 30 minutes. 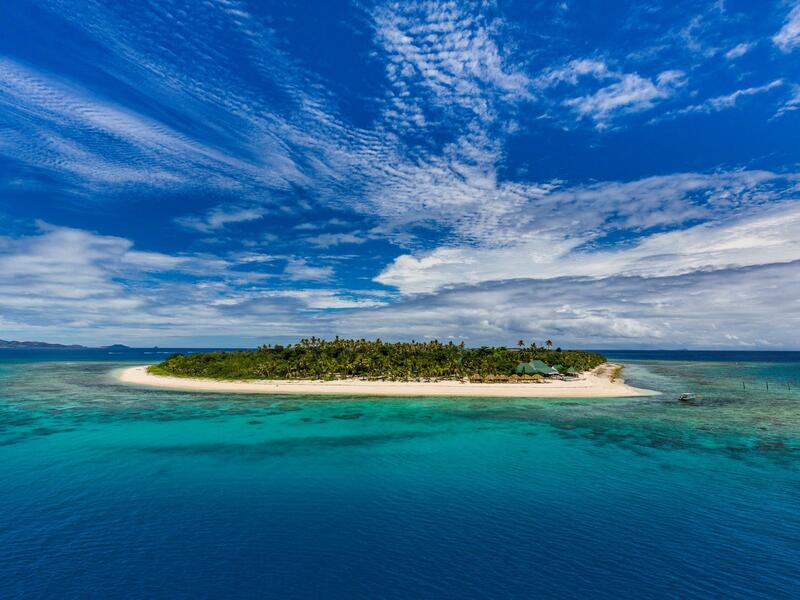 There is only Bounty Island Resort on the island and it never feels crowded. Plenty of white sand everywhere, warm ocean, plus there is a swimming pool as well. Bures are simple but nice and clean. Cleaning was done every morning. All meals very tasty and plentiful. Normally a lot of meat and wish. Buffet breakfast and lunch, served dinner. Plus there is a nice bar on site with reasonable prices. But the best of all was the staff. Everyone was superfriendly, always smiling, helpful whenever you needed help. One of the nicest people I met on my travels. Only the wifi could be cheaper and faster. The Island is really nice and the staff is polite. We stayed in the dorm and the price we paid was Ok for the accomodation. However the compulsory meal fee is way too expensive for what you get. Taking into consideration that this is the closest island to the mainland, charging so much for the food and the water is something that I could understand if you are 5 hours away. Although the dorm was clean, the ventilation was really bad and they should put more care in letting fresh air come into the room. For one night is OK to enjoy all the free activities they have. We had a couple of snags with regard to our room, but the staff ensured they were heard and attended to. We had a beach bure (no 13) it was basic but it was all we needed. All non-motorised water sports were free, the staff were fantastic and basically our stay was great. The only thing I would say is that the food package seems a little over priced, FJ$85 and to be honest it felt a little like school dinners, not because the food was bad but just because of the style, it would've been nice to have more fresh fruit. Also they did cater for Vegetarians (me) there was always one option but the evening was very carb heavy, not really my thing. The staff are brilliant and always go out of their way to help. The views and facilities are great. Everyone smiles here and it's a great place to clear the mind. We stayed on Bounty for ten days. From the time we arrived we were greeted with smiles. The bure was on the beach just as advertised. The staff were all friendly. There is singing and games at night. Thanks Bounty island. We feel part of the family and will come back. Staffs are so friendly like a family, foods are better than expectation even just 2 stars, room is newly built. Resort is small and only take 30 mins to walk around the whole island. Resort and in the front and rest of the area are bush. We booked the breachfront Bure for 2 nights but room only and need to pay the daily meal plan while check in. Food was much better than expectataion, they do buffet for breakfast and lunch. Buffer or 3 course A La Carte dinner sometime. Don't have to worry about the meal as they served really big portion. Hotel staffs arranged some games after dinner and definitely great chance to gather people together in the small and quite island. The winner could have a prize and they also do 3 happy hours in a day which is good for drinking. We were lucky to stay in the new rooms in Breachfront Bule where close to hotel main area and everything are new. Air Condition really saved us the life and there was heaving raining and couldn't open the window if staying other rooms without AC. 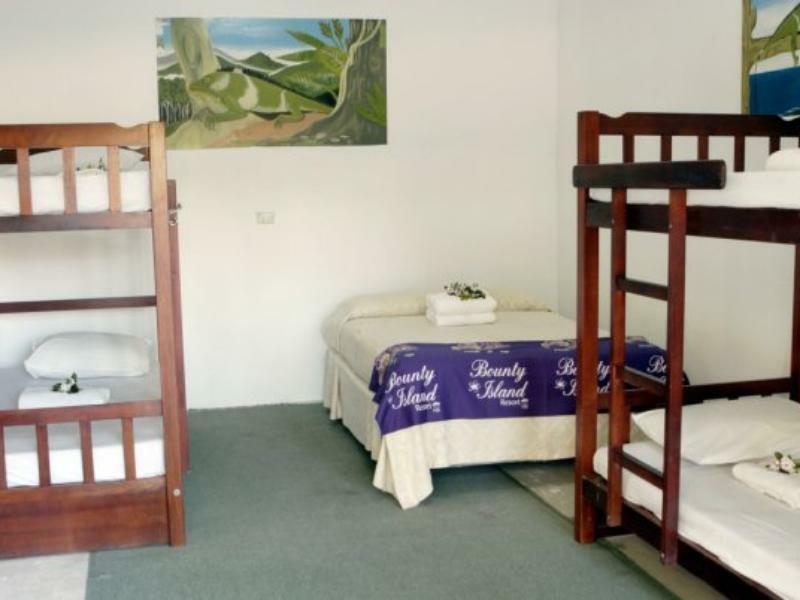 Nice budget hotel with friendly staffs, snorkeling and standing paddle are free for use. We didn't get a chance to go for snorkeling as the weather was bad due to storm coming but definitely will come back again to enjoy the beach. We booked 2 nights at Bounty, but then booked 2 more, because we had a good time. The resort is small, and most people come only for a few nights. The vibe is relaxed, not much else to do, than read, or the occasional watersport. Staff a pretty attentive, and the lunch buffet is really good. Dont expect a huge part, thats somewhere else. We booked Bounty Island Resort, but it was closed and we were transferred to nearby Treasure Island resort, which is a higher class resort and upgrade was free. I can only review Treasure Island Resort - it was absolutely great and I would recommend it to anybody who wants to relax in beautiful Mamanucas. This island is closed.. we came to know About this when we were about to transfer from the port denaru.. Not sure if its temporary..they got us transferred to treasure island.. though everything was perfect with treasure island, I would still not advise anyone to book this resort until you have a confirmation that this is opened for public.. The rating I provided is for treasure island.. I was looking for a real break of doing nothing, read my book and just enjoyed a nice blue water beach from my bure. 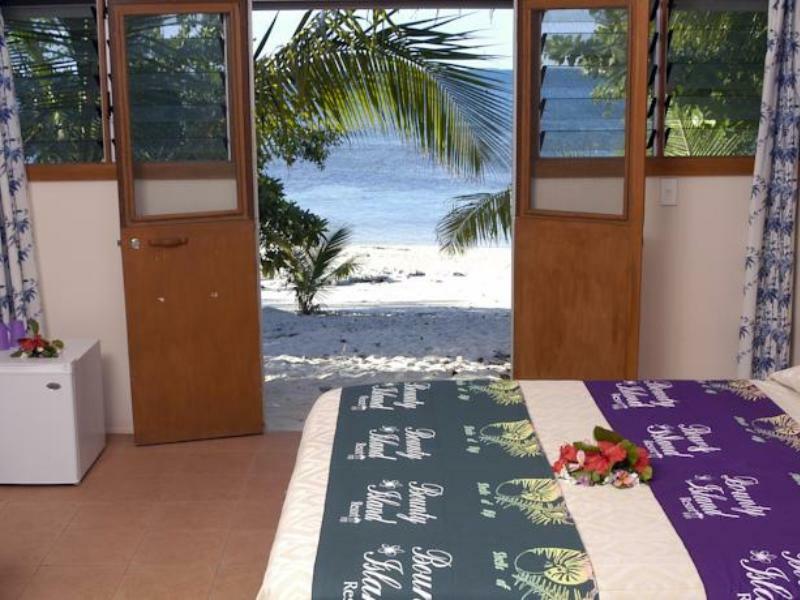 I took a while to select my place as I was not familiar with Fiji and gave a try to Bounty Island based on previous reviews and the sobriety of the place, far from the big hotels style. I must say it was right on the spot. No TV anywhere, and internet is extra, expensive, not working great and only in the main place so you are not really tempted. I could read my book with no tempting internet and emails. The beach is right there, the water is blue and the staff friendly and food OK. One point : do check the boats and time to secure your trip using another company than the one of the resort, mega expensive. The last coast boat leaves Nadi at 3pm so make sure you can catch it or spend a night a Nadi and leave on the next morning to Bounty. We needed a place to decompress after some busy touring and Bounty Island was perfect. Super friendly staff, fabulous snorkelling, and great food. Accommodations are basic but just what you need. Well recommended. The Good: The staff, the swimming, the ocean life, the sun, the atmosphere, the music, happy hour and Fiji Bitter! The Bad: Average beach compared to Australia but most beaches in Fiji aren’t that good. There was a fair amount of coral on the beach and a rocky shoreline so be sure to get reef shoes if you want to walk around the island. My partner got food poisoning and so did a few other couples. We know it was the chicken as I didn’t eat it and the same thing happened to other couples. PLEASE don’t put so much damn SAlT in the food, I swear this must be a Fijian thing as we found this happened elsewhere. General Observations: There was a small free trip out to a large coral polyp about 100 metres or so from the shoreline but we were never told this was there as people were swimming out there and we didn’t know why… The free trip lasted about 10 minutes and people got to feed the fish. The kayaks need to be checked as they leak and some are in disrepair so get some new kayaks as this is important while staying on an island. Check your bill carefully as there were errors on our bill from the bar but we didn’t bother worrying about it but there were several errors with happy hour and a few other niggles. The sand is annoying and management need to offer something better than a small bucket type thing to rinse your feet before entering your dwelling. This would just make things easier and would require little effort or expense. Amazingly friendly staff, lots of free activities and the best snorkelling site I've ever found. You have to pay for 3 meals a day when you get there so allow for that. It's not 5 stars but when you get views and sea like it is- it really doesn't matter. Loved Bounty. Everything about this island and the people. They make everyone feel so welcome and part of their Bounty family. Beach Bures are incredible and if you love the ocean this place is perfect. Food is average but Fiji overall isn't a massive culinary experience so go with it. Not a party island - so gap year students please stay on beachcomber! Pros: Island life on a good day is amazing, staff were great, food was good being that it was buffet and you were encouraged to eat eat eat. Accommodation was affordable (island bures) Beaches were great. Cons: Food was pricey, everything on the island was following the simple law of economics, being that it knew you had to buy from them so they could charge whatever they wanted. (sunscreen $40? ); water should have been more easily accessible. 8/10 from me and the girlfy. Safe travels. Highly recommend bounty for a max of 4nights, very relaxing. We loved our stay in Bounty Island ! 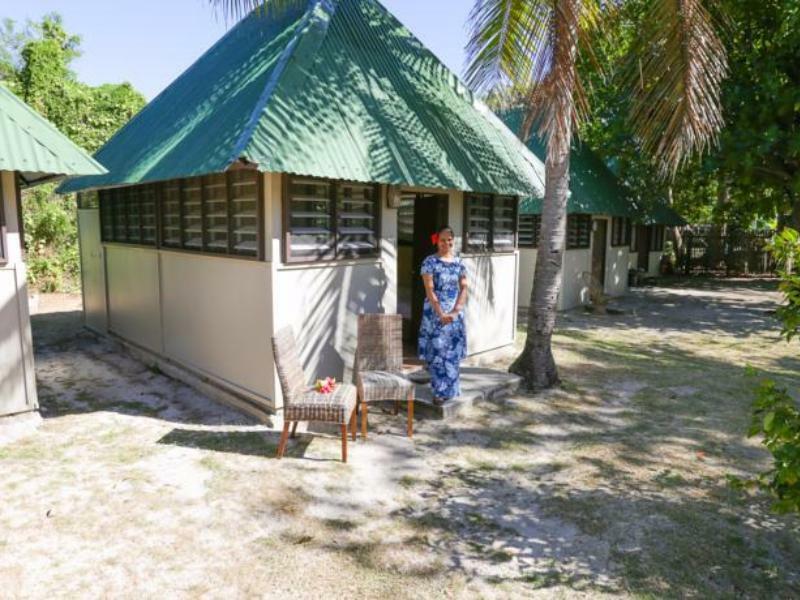 We stayed on the island for 2 nights in a beach bure and it was a lot more then I expected as the bure was very clean and even had a fridge and A/C ! The location and food is amazing and i loved that you could get free kayak and paddle boards for the day. Would definitely recommend!